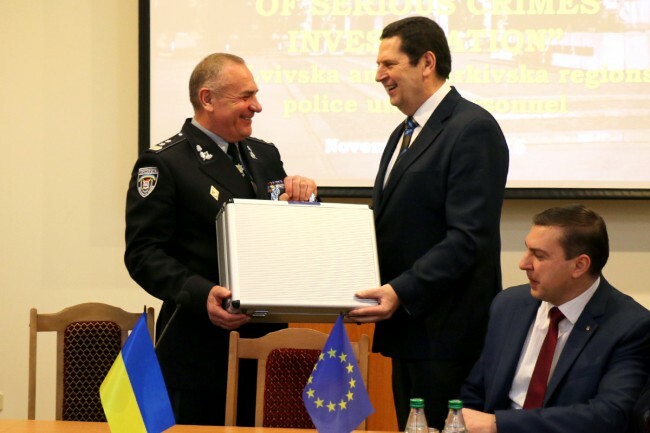 At a ceremony in Kyiv today, the European Union Advisory Mission (EUAM) donated cutting-edge equipment to forensic experts from Lviv and Kharkiv Police. 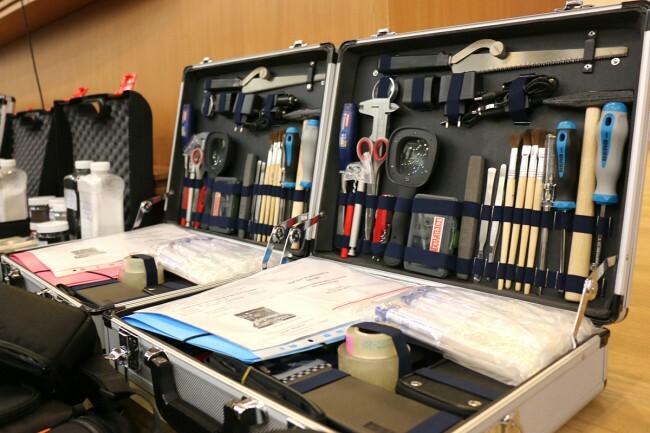 This comes at the end of five-day training programme in which crime scenes were re-created and forensic experts trained in how to use the new equipment. 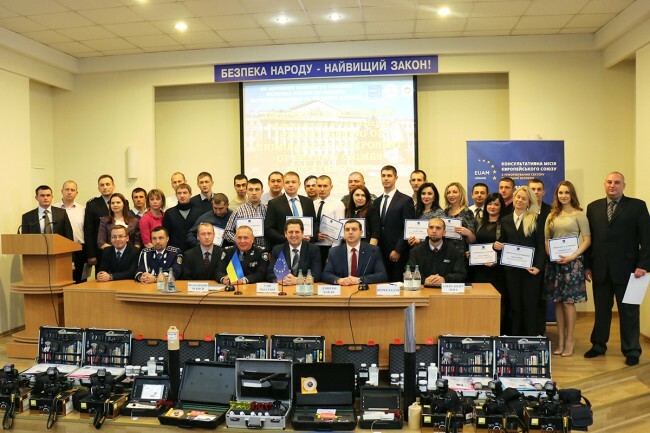 The Kyiv training programme, which follows a similar exercise carried out in Lviv last week, aimed to improve the professional skills of 24 forensic experts from Ukraine’s Police Crime Scenes Investigation teams, borrowing from the latest international techniques. 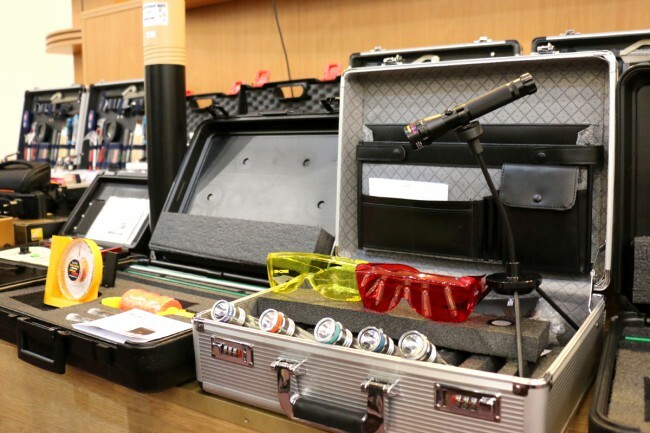 Besides forensic and bullet trajectory kits, DSLR cameras and sets of UV lights, forensic experts received equipment not used in Ukraine before. For example, electrostatic dust print lifters enable experts to uncover hard-to-collect traces left on surfaces. EUAM also gave a ‘post-blast’ kit (used at the explosion scene) to students from the National Academy of Internal Affairs, which hosted and participated in the training. The overall cost of equipment donated last week and this week is up to €70,000. The training programme itself focused on the use of modern forensic equipment for gathering biological evidence, fingerprints, trace evidence at burglaries, shooting scenes and photographing crime scenes. The training was delivered by Alexandru Dena, a forensic expert from Romania’s Directorate for Investigating Organised Crime and Terrorism. Attending the awards ceremony today were the Deputy Head of the National Police Investigative Department, Dmytro Babak and the Head of the National Academy of Internal Affairs, Volodymyr Cherney. 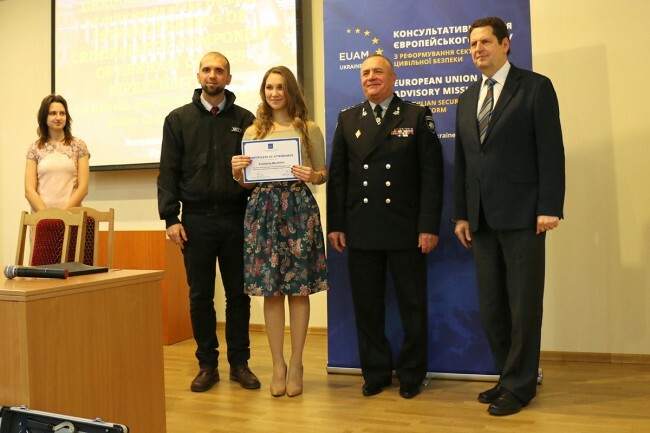 Today’s donation is just part of EUAM’s ongoing efforts to support the criminal investigation methods of the National Police of Ukraine.